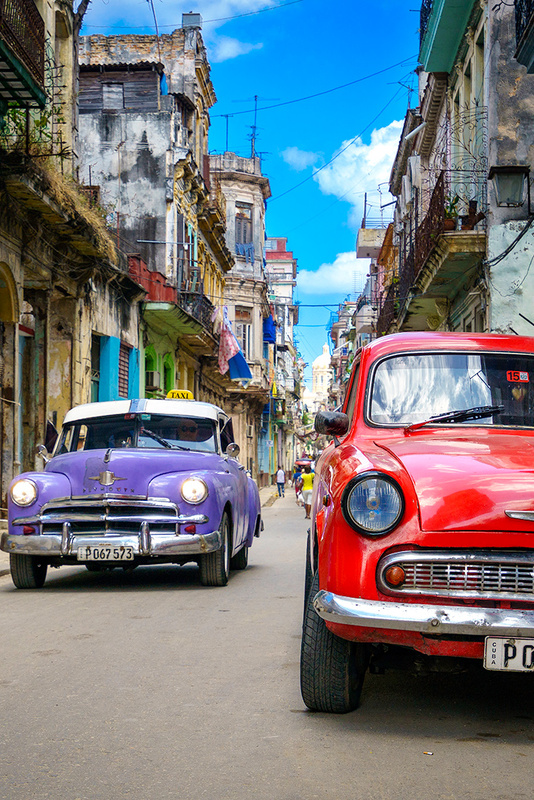 While relations between Cuba & the United States are improving, there are still travel regulations in place. 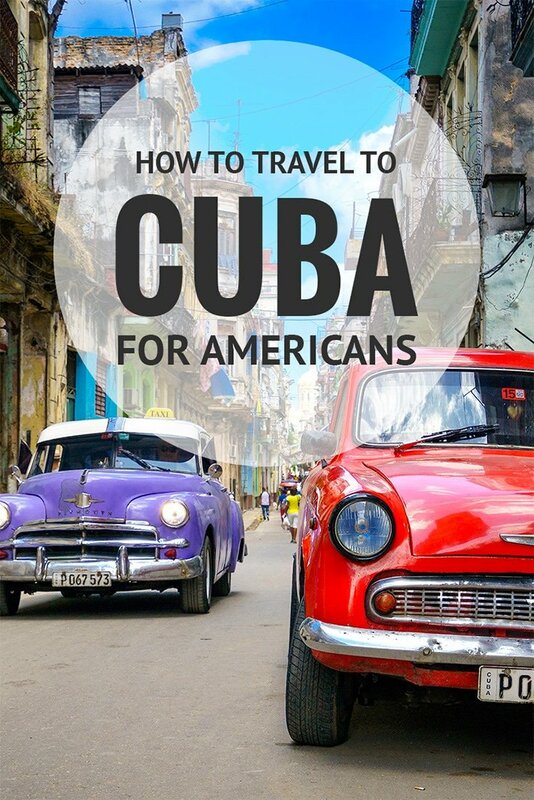 Here’s how you can legally travel to Cuba as an American! 2019 UPDATE: President Trump announced changes in travel rules for Cuba. You can no longer travel to Cuba under the People To People category as an individual, and you can’t spend money at military-owned businesses. However, you CAN still travel under the Support For The Cuban People category. Keep reading below for more details! Back in 1960, the United States imposed a severe trade embargo against Cuba. The Blockade was created after Cuba nationalized American-owned oil refineries without compensation. Basically, this regulation has prevented most Americans from considering Cuba as a travel destination. Due to economic sanctions, air travel to Cuba from the United States was almost impossible. American credit & debit cards don’t work in Cuba either. However rules for traveling to Cuba are finally beginning to change. Even though travel to Cuba for Americans is restricted, that doesn’t make it impossible to visit. For many years some intrepid Americans were traveling to Cuba anyway. Initially, there were three ways to accomplish this. You could register for a special license with the US Government if the reason for your travel fit a certain category. These include family visits, professional reasons, journalism, religious or cultural programs, and humanitarian projects. While you no longer need pre-approval for such a license, technically your visit should still match one of the categories to stay legal. Just in case someone in the US decides to ask later (which doesn’t happen). Organized tours that involve some sort of educational experience with local Cuban people. It’s never been defined officially, but basically, your trip can’t just involve sitting on a beach. Travelers would talk with a school, volunteer for a community project, or collaborate with artists. A kind of legal loophole that tour companies use to sell tours in Cuba. 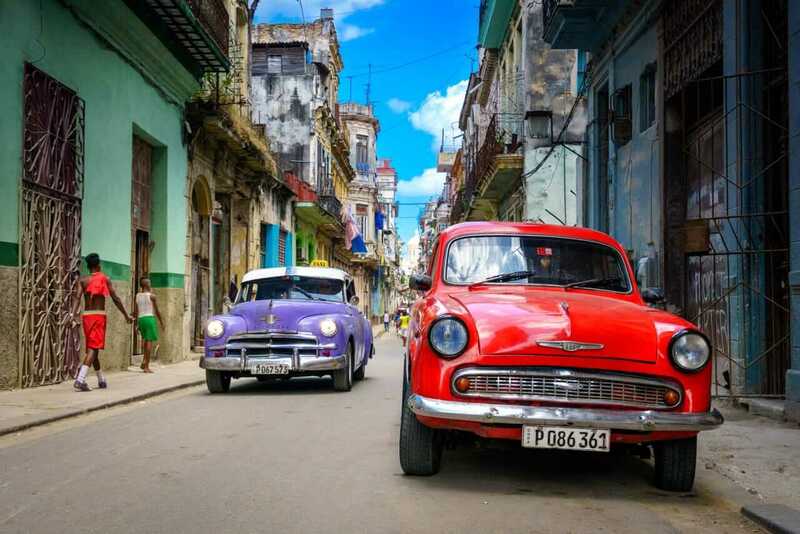 As of 2019, the rules state that Americans must travel to Cuba in organized tour groups, or independently under the “Support For The Cuban People” category. 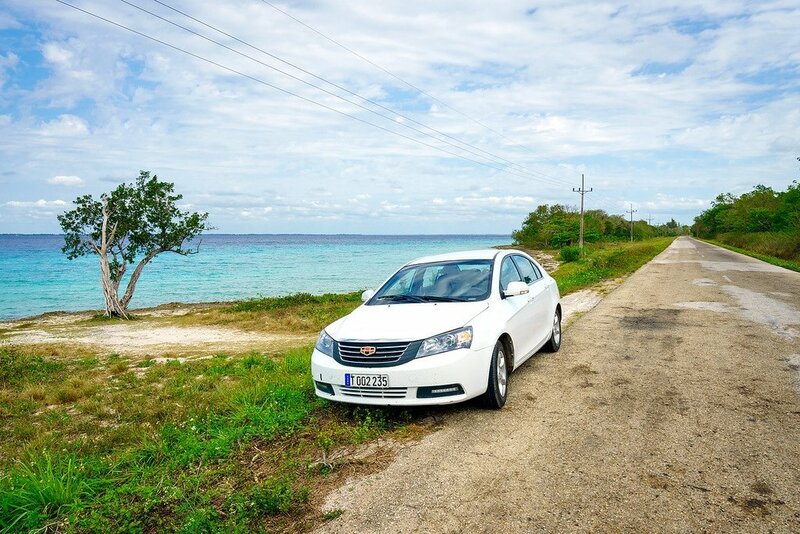 Travel under any of the 12 allowed categories, including Support The Cuban People. You simply declare that category when booking flights, lodging, and during re-entry into the US. Stay at casas particulares, eat at local restaurants, and support local businesses. Avoid staying at hotels banned by the US State Department and spending money at military-owned businesses. Here is a complete list. Keep detailed records of your time in Cuba. The Office of Foreign Assets Control (OFAC) can ask you about your travels for the next five years. If you can’t prove that your trip fell within one of the 12 approved categories, you could get in trouble. While the US government has never asked me about my time in Cuba, and other Americans’ trip reports seem to conclude the same, I can’t guarantee it won’t happen in the future. I’m simply sharing my experience. I’m not worried though. Basically, the rules haven’t changed much. President Trump is trying to discourage travel to Cuba, but he’s not making it impossible either. For now you can still travel to Cuba independently, but you’ll need to choose an approved travel category other than People To People tours. Declare a category like Support For The Cuban People instead. Build an itinerary containing activities that meet the criteria for that category — or get help from local experts to plan a legal trip (5% discount for Expert Vagabond readers!). If you’re feeling naughty, you can also simply travel through a foreign gateway city like Toronto or Cancun like thousands of other Americans have, including myself. 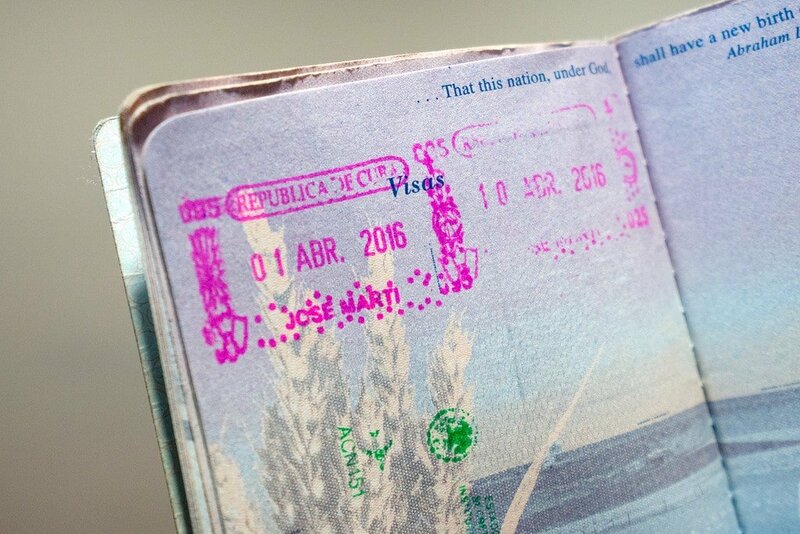 Cuban immigration won’t stamp your passport, and the US Government will never know you visited Cuba. In April 2016 I traveled to Cuba as an American with my girlfriend Anna from Anna Everywhere and our friends Hannah & Adam from Getting Stamped. We traveled through the popular foreign gateway city of Cancun, Mexico. 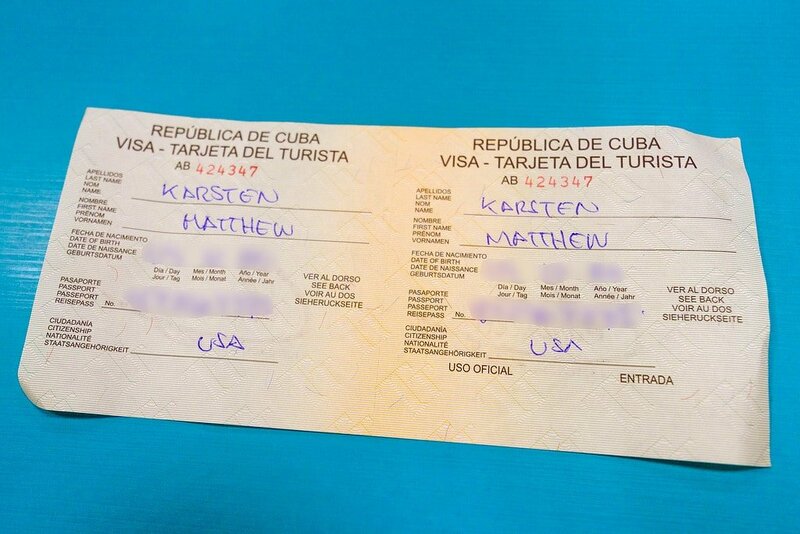 We bought 30-day Cuban tourist visas at the airport in Cancun for $20. Visas were purchased at the check in counter (or while waiting in line) before your flight. The visa is a separate card you keep with your passport, but it’s not attached. In August 2016, the US government started allowing American companies to resume flights to Cuba. Airlines that are flying to Cuba from the United States now include American, Frontier, JetBlue, Southwest, United, Spirit, Alaska, and Delta. For flights leaving from the Untied States, the visa process can be different depending on the airline you’re flying with. Some reports suggest that it’s not the same everywhere though. Check prices for cheap flights to Cuba here. Cuba WANTS American tourism, so they offer to stamp your visa card instead of your actual passport, so you don’t get in trouble with the US government later. This way, when you return to the United States, it just looks like you traveled to Mexico. Or Canada. There’s no passport record of your travel to Cuba! They will never know you were there. However, I asked the Cuban immigration agent to stamp my passport directly. I was curious what would happen when I returned to the United States. Would anyone ask me about it? Would I get fined or arrested? Credit & debit cards issued by American banks still don’t work in Cuba. So a trip to the island involves bringing lots of cash. How much? 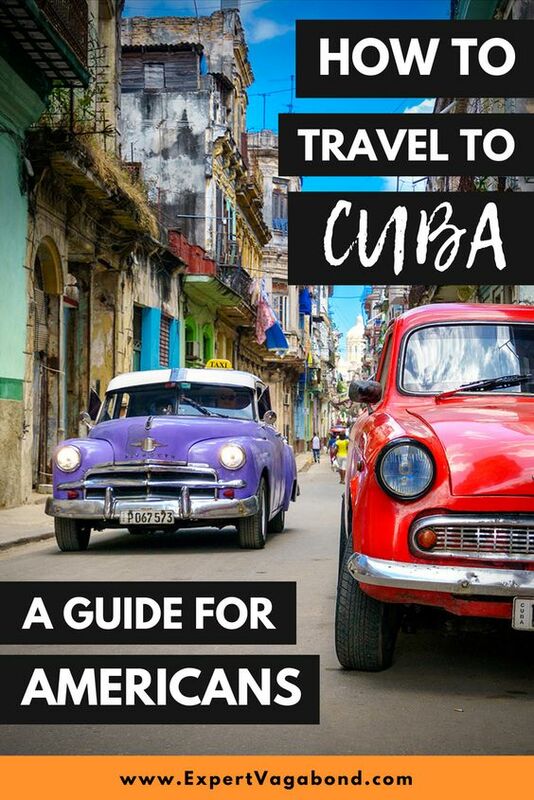 Please read my full budget travel guide to Cuba here. To give you an idea, you can travel there comfortably on $50 – $100 per day. A “casa particular” is like a homestay or guesthouse in someone’s home. 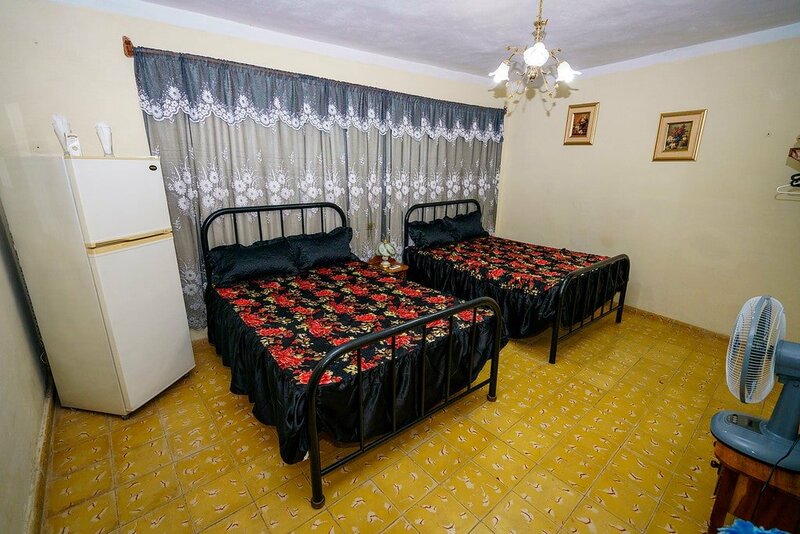 They sometimes include breakfast and run between $20 – $30 per night for a double room. To operate a casa particular, local families need to register & pay special taxes to the Cuban government. When we arrived in Havana, we tried to rent a car directly at the airport with no reservation and were told repeatedly there were no cars left. Eventually Anna found a guy who said he had two, but from the same company who earlier said they had none, Via Rent A Car (they have no website, but you can book online through other sites like Cuba Junky). Split between 4 people, our 3-hour vintage taxi ride from Havana to Viñales cost $60, about the same as 4 bus tickets, but we could stop anytime we wanted for photos or snacks. The cars are super cool too! These days you can get connected through Cuba’s state-run ETECSA telecom company. 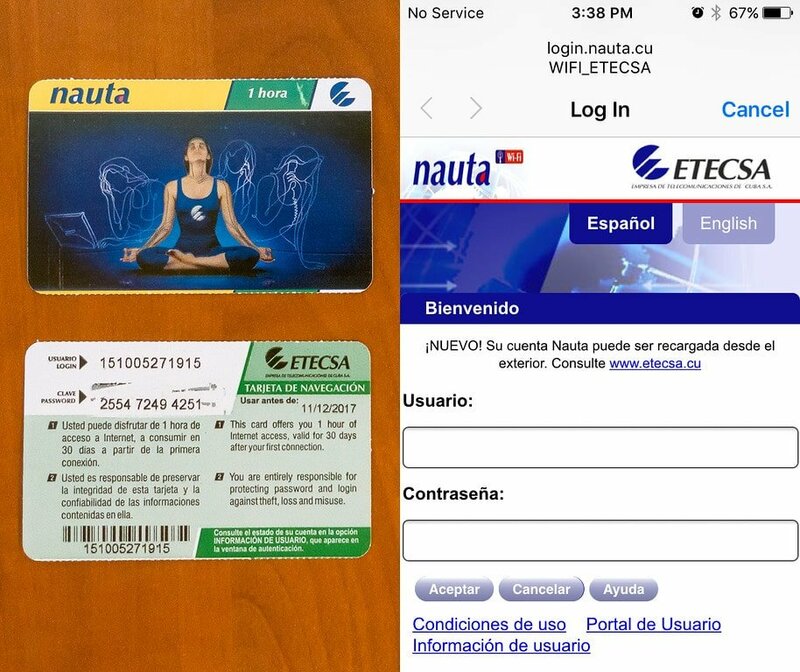 Tourists can buy ETECSA prepaid wifi cards at special kiosks for $2 – $3 per hour of service. 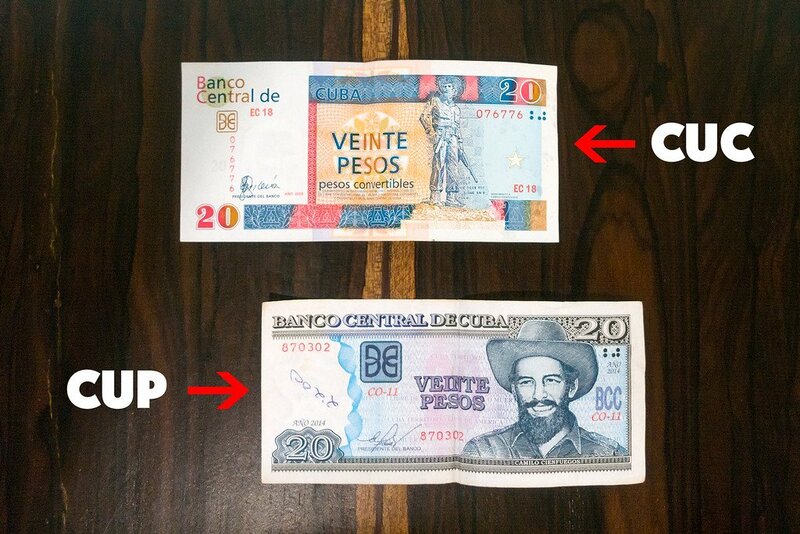 As of May 1st 2015, Cuba no longer charges the $25 CUC exit fee to travelers leaving the country, this fee is now included in the price of your airline. Tap water in Cuba is not safe to drink, and bottled water can sometimes be difficult to find depending on where you are. If you plan on traveling to Cuba, I recommend picking up a LifeStraw Filtered Water Bottle. It’s better for the environment too! I managed to bring 30 Cuban cigars back into the United States. I was never questioned about tobacco, and it’s not listed on the customs form as something I have to declare anyway. 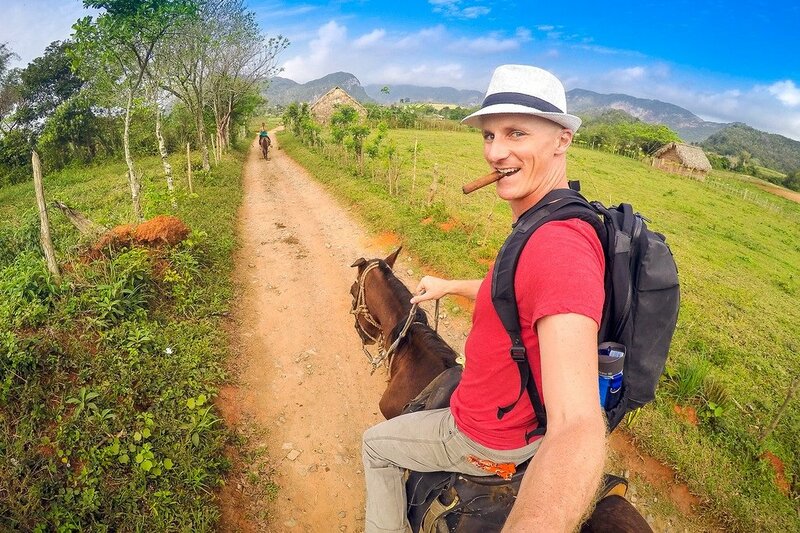 Is Traveling To Cuba Ethical? Good question. While it’s probably impossible to completely avoid giving some of your tourist dollars to the Cuban Government, traveling to Cuba does help the local economy there, which has been hurting badly for years. Everyone seems to be worried that Cuba is going to get “destroyed” by American tourism, which seems ridiculous to me. Sure, things will slowly change over time, as they do. Old buildings will get repaired, newer cars will fill the roadways, etc. But those changes will IMPROVE the lives of Cubans — which is a good thing. 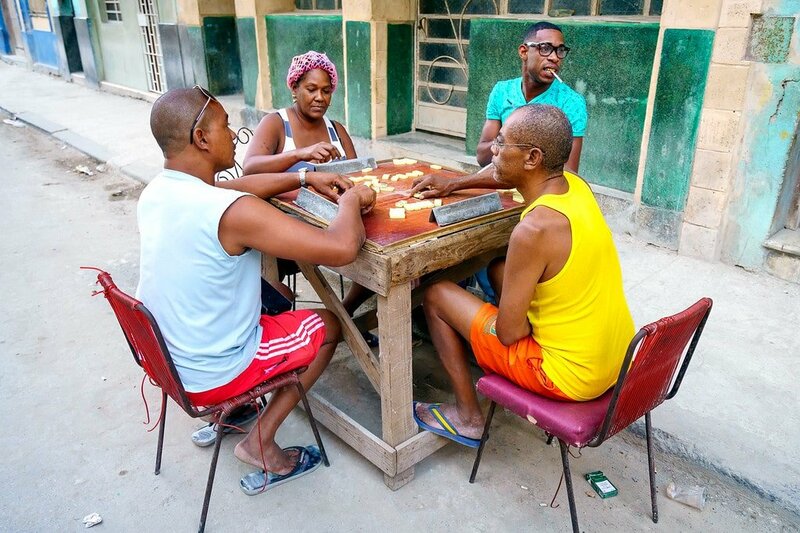 It’s really pretty arrogant and egotistical for tourists to wish Cuba remains in a perpetual state of decay for their personal entertainment. Cubans deserve progress and a better life, just like the rest of us! Have any questions about how to travel to Cuba? Are you planning a trip there? Drop me a message in the comments below!